Growing up I never knew the "English" name of this product. 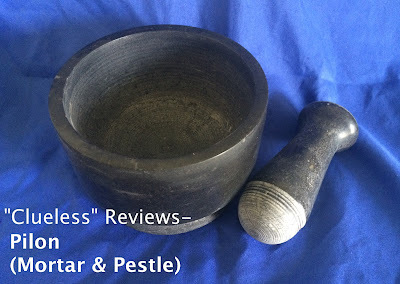 I later found out it's called Mortar & Pestle. Dis Tew Much words for me. I always knew it as Pilon and that's what I'll be referring it to throughout this post. The use of pilon goes back to ancient times that was traditionally used for medicinal purposes. Crushing various ingredients to make prescriptions. 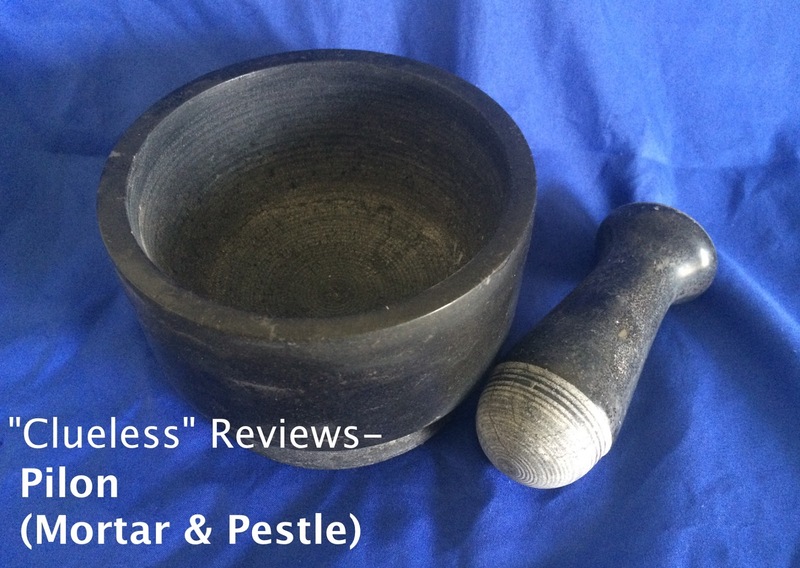 If you've ever been given a prescription, you notice somewhere at the top a graphic of a bowl (mortar) and what I like to call a mini bat (pestle) with the well known letters Rx on the prescription. Pilon also has a rich history in the kitchen. If you are of Caribbean descent (Haitian/Bahamian/Floridian LOL!) like me, I'm sure you've used this before. It was first used by the Taino Indians to crush herbs and spices. There are various kinds of pilon from wood, marble, ceramic, and more. I remember my mom having one and it was made out of wood. She had it for years and even though it was obviously used it was in really good condition. I don't think I saw a crack in it at all. What I also remember is how I would walk by the empty pilon and can smell the herbs and spices from when it was last used. There's just something about using the pilon to crush ingredients together and the smell is just amazing. It really absorbed the ingredients well. I purchased one awhile back at World Market before I bought the one I have now. It was a ceramic one. I can't remember what I was doing in there because I don't normally shop there. Anyways, I was so happy to finally have one but then... it broke the first time I used it. I took it back for a refund and said no to ceramics. I was in IKEA recently and even though I wanted a wooden one I purchased what they had available. It was reasonably priced at $14.99. I've used it a few times and it's still in one or in this case two pieces. I really like old school/modern look that it has. It's a little heavy and I'm careful not to drop it. 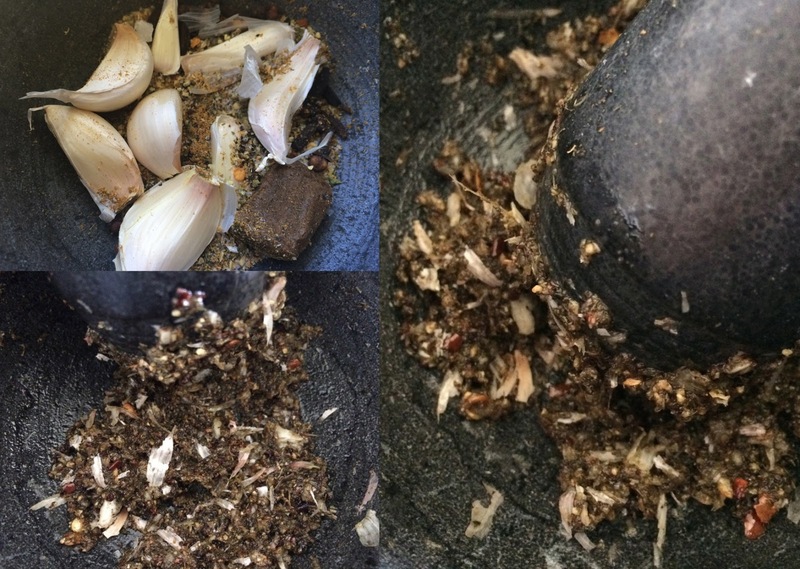 I've played around with crushing different herbs, spices, and seasonings together and it didn't disappoint. It's also easy to clean. So far so good with this product. I look forward to upping my culinary game with it.